The History of DNA All life on earth uses a chemical called DNA to carry its genetic code or blueprint. In this lesson we be examining the structure of. 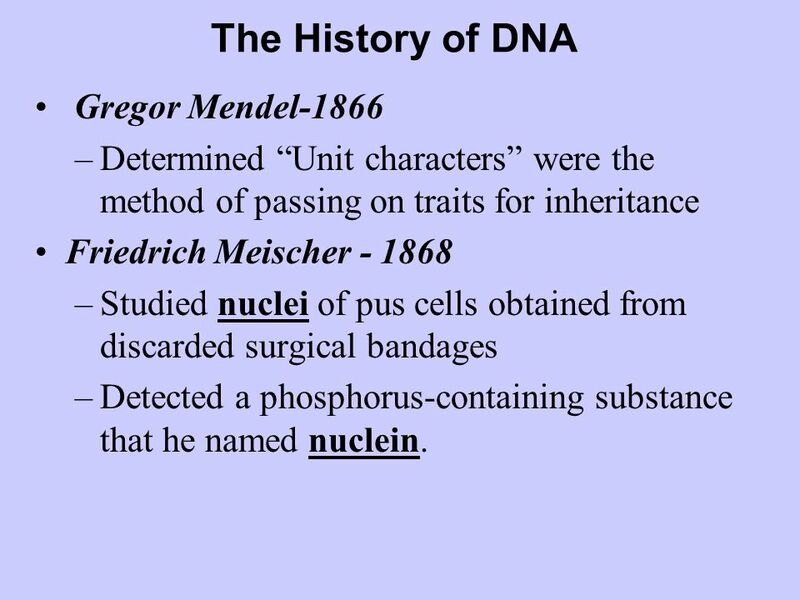 Determined “Unit characters” were the method of passing on traits for inheritance Friedrich Meischer Studied nuclei of pus cells obtained from discarded surgical bandages Detected a phosphorus-containing substance that he named nuclein. 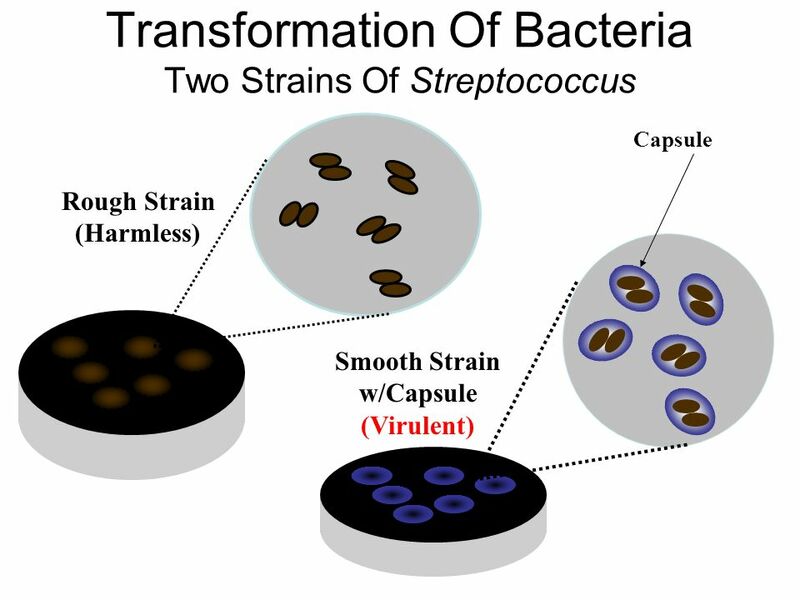 Found that DNA taken from a virulent (disease-causing) strain of bacteria (Streptococcus pneumoniae) Transformed a non-virulent form of the bacterium into a virulent form. 9 Using S35 Did protein enter the bacteria? 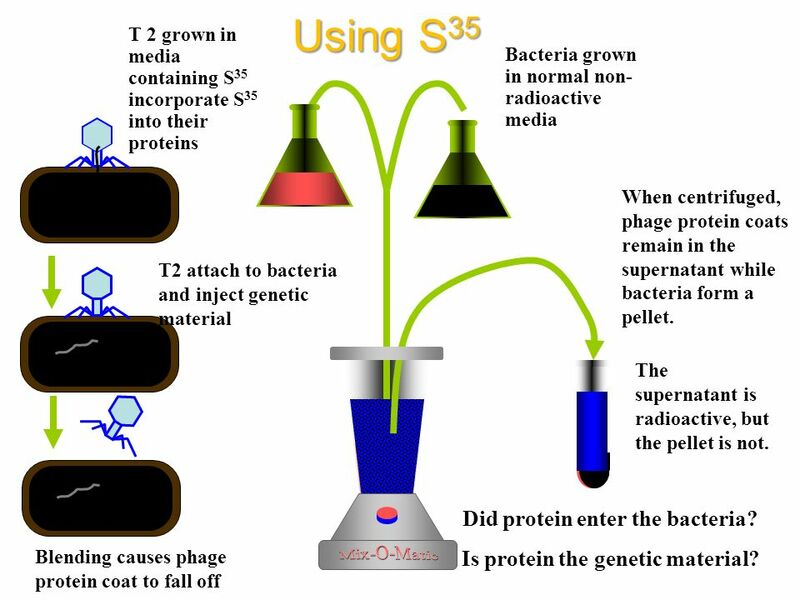 T 2 grown in media containing S35 incorporate S35 into their proteins Bacteria grown in normal non-radioactive media When centrifuged, phage protein coats remain in the supernatant while bacteria form a pellet. T2 attach to bacteria and inject genetic material The supernatant is radioactive, but the pellet is not. 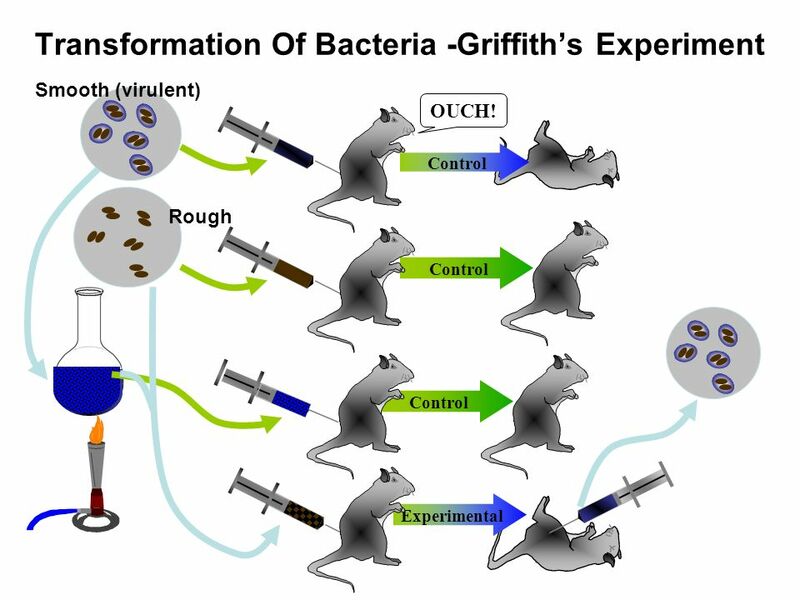 Mix-O-Matic Blending causes phage protein coat to fall off Did protein enter the bacteria? Is protein the genetic material? 10 Using P32 Did DNA enter the bacteria? Is DNA the genetic material? 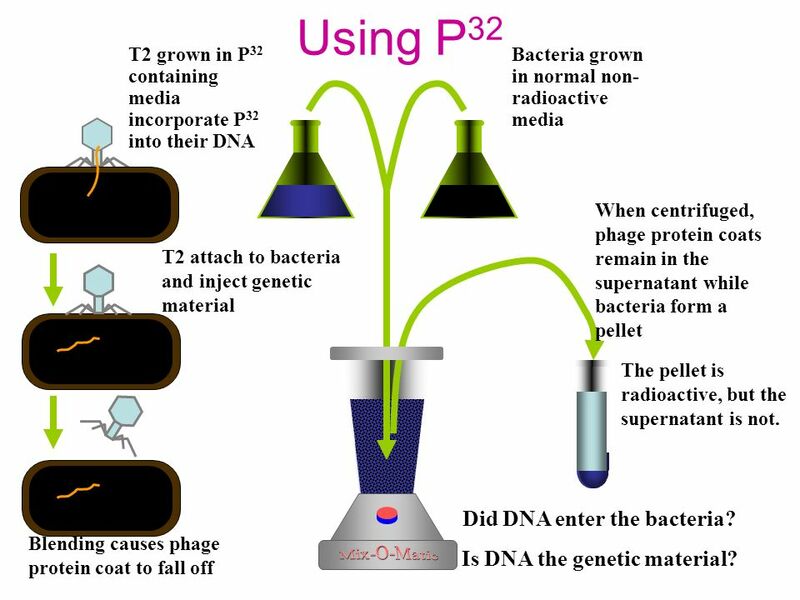 T2 grown in P32 containing media incorporate P32 into their DNA Bacteria grown in normal non-radioactive media When centrifuged, phage protein coats remain in the supernatant while bacteria form a pellet T2 attach to bacteria and inject genetic material The pellet is radioactive, but the supernatant is not. Mix-O-Matic Blending causes phage protein coat to fall off Did DNA enter the bacteria? Is DNA the genetic material? 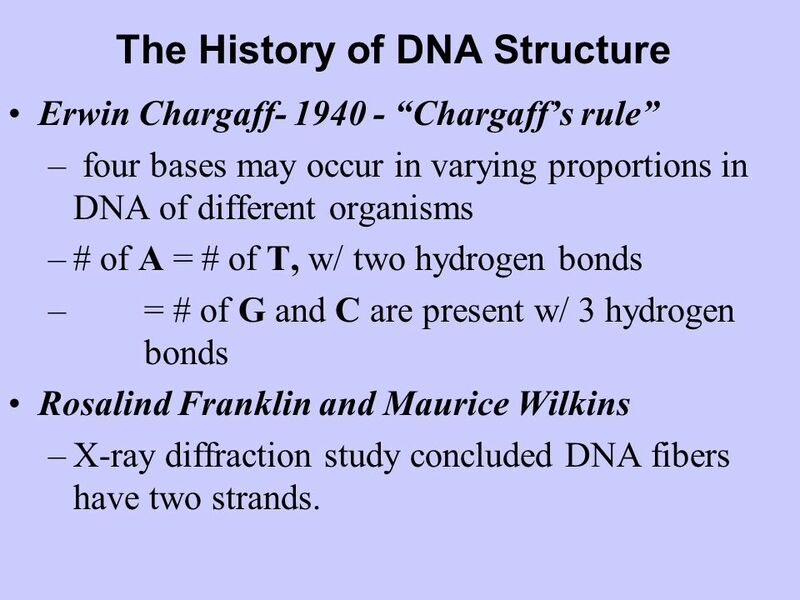 Erwin Chargaff “Chargaff’s rule” four bases may occur in varying proportions in DNA of different organisms # of A = # of T, w/ two hydrogen bonds = # of G and C are present w/ 3 hydrogen bonds Rosalind Franklin and Maurice Wilkins X-ray diffraction study concluded DNA fibers have two strands. 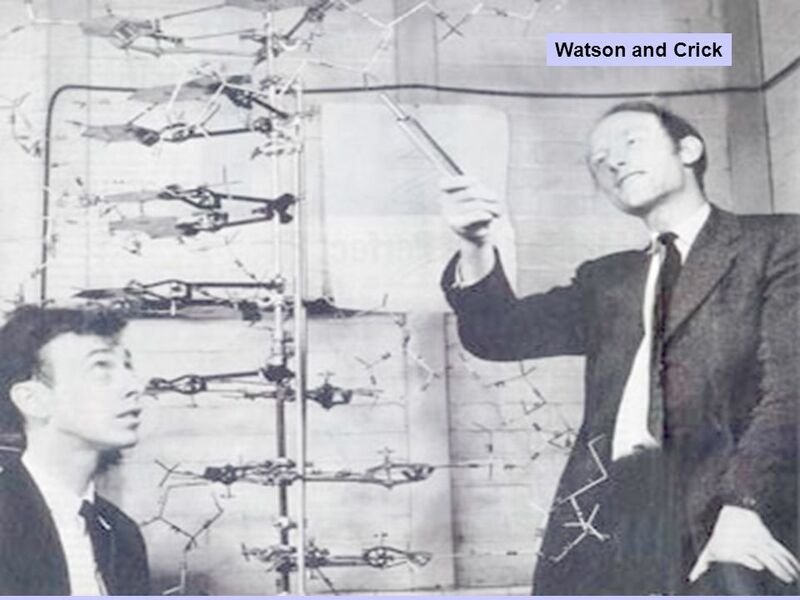 James Watson and Francis Crick - University of Cambridge -1953 Worked on problem of making a DNA molecule model that was double stranded but also had the specific A - T and G - C base equivalencies Solution-double helical structure for DNA. 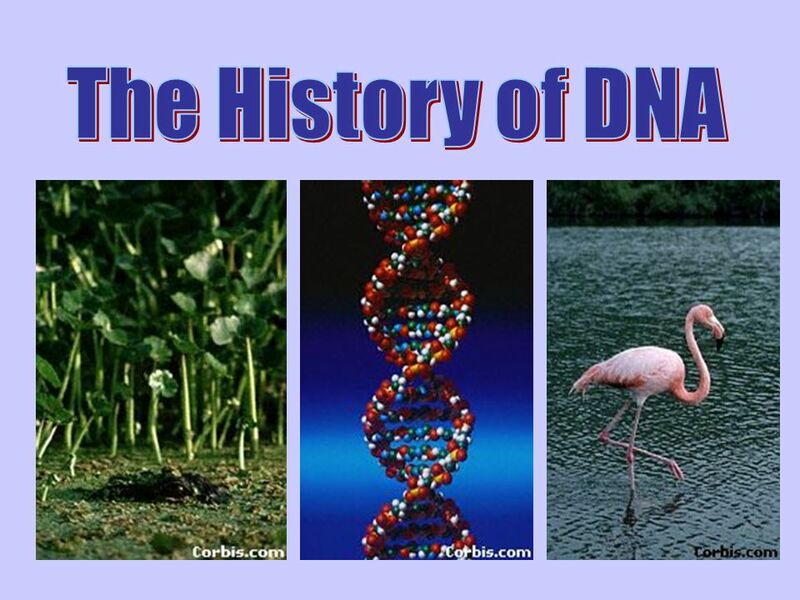 Download ppt "The History of DNA All life on earth uses a chemical called DNA to carry its genetic code or blueprint. In this lesson we be examining the structure of." How do you know?. What molecule in living organisms is responsible for carrying the genetic code? (DNA)Deoxyribonucleic acid (DNA) –Stores info., copies itself –Directs cell activities –hereditary material passed from cell → cell nucleotideNucleic. Deoxyribonucleic Acid (DNA) Students will be successful when they can…….. 1.When they can summarize the experiments leading to the discovery of DNA as. DNA. 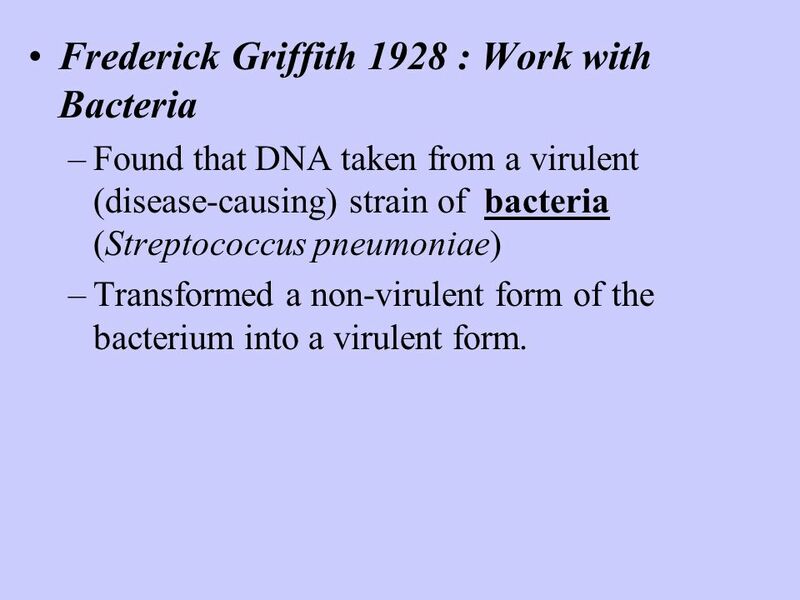 12–1 DNA Griffith and Transformation I Griffith and Transformation In 1928, British scientist Fredrick Griffith was trying to learn how certain. DNA, and in some cases RNA, is the primary source of heritable information Genetic Info is transmitted from one generation to the next through DNA or. CHAPTER 16 THE MOLECULE BASIS OF INHERITANCE Copyright © 2002 Pearson Education, Inc., publishing as Benjamin Cummings Section A: DNA as the Genetic Material. DNA (Ch. 16). 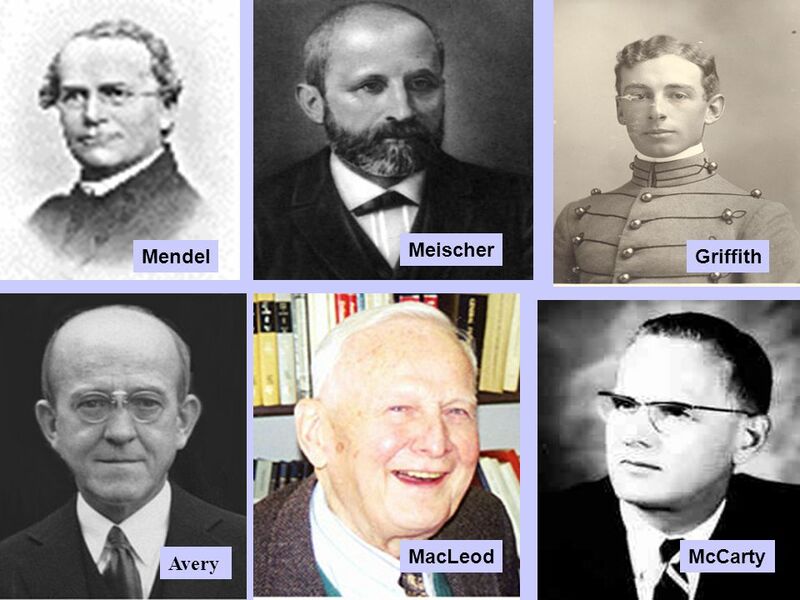 Brief History Many people contributed to our understanding of DNA –T.H. 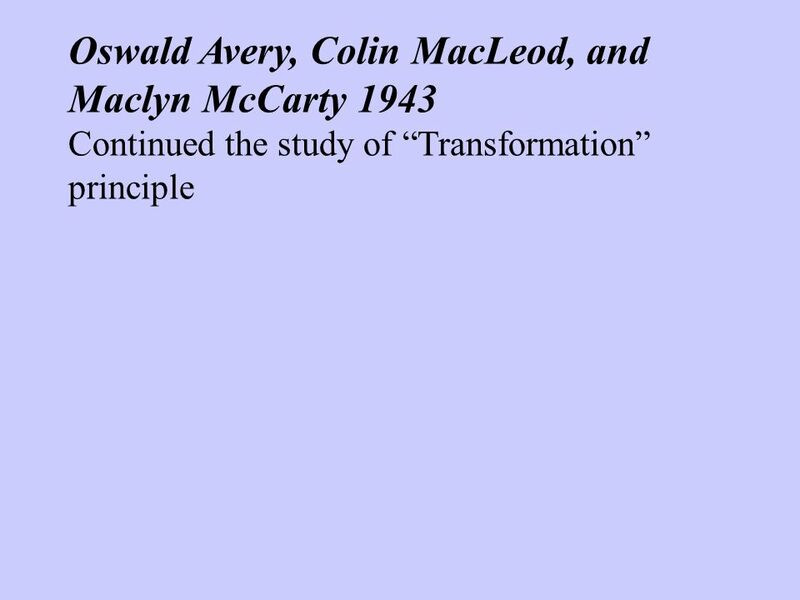 Morgan (1908) –Frederick Griffith (1928) –Avery, McCarty & MacLeod. 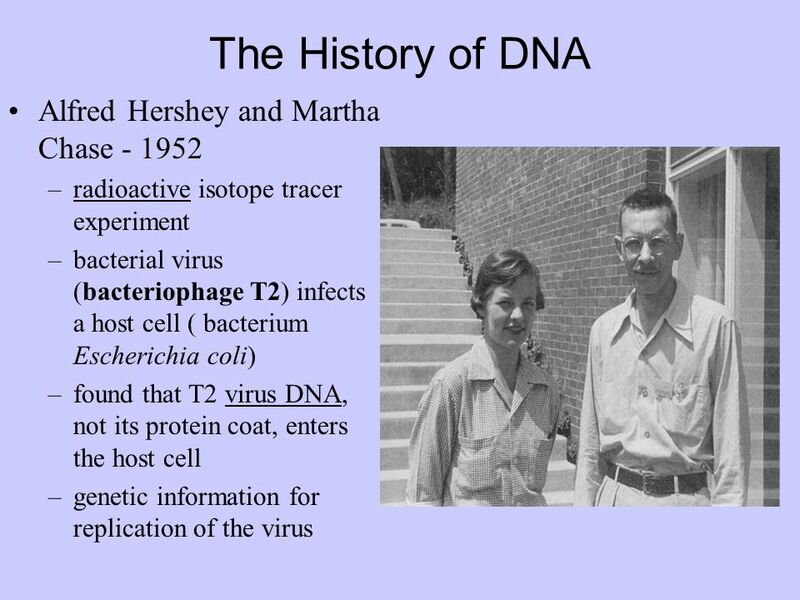 AP Biology DNA The Genetic Material AP Biology Scientific History  The march to understanding that DNA is the genetic material  T.H. Morgan. 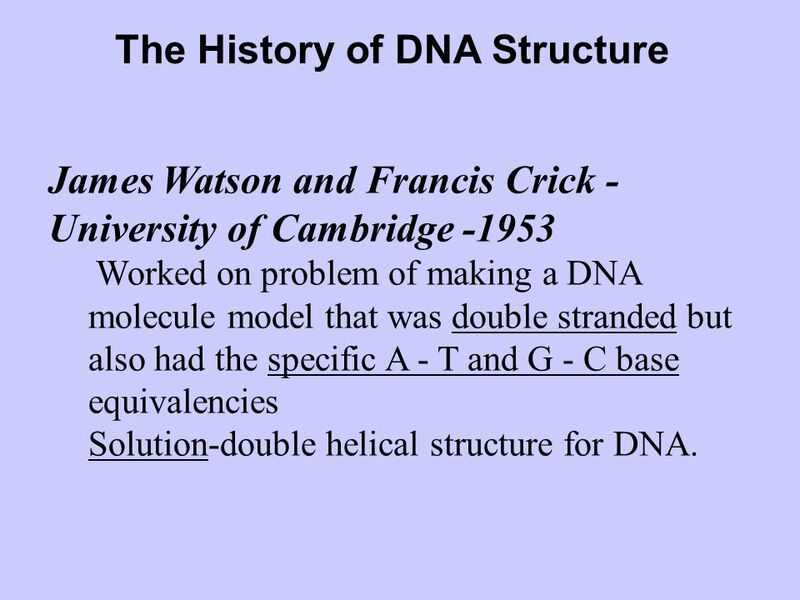 History of DNA structure and its importance How did we learn that DNA is the key to coding for all characteristics of living things? 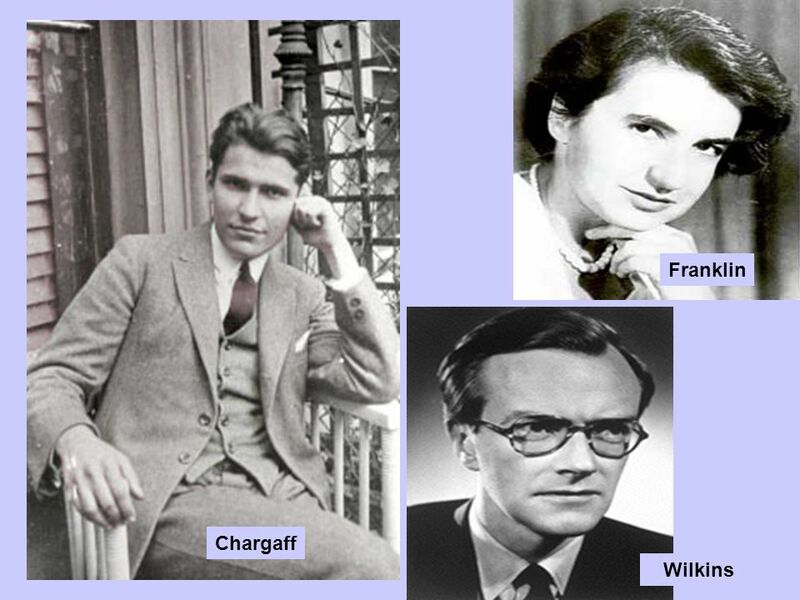 1 2 History of DNA Early scientists thought protein was the cell’s hereditary material because it was more complex than DNA Proteins were composed of. AP Biology 4/21/2015 DNA The Genetic Material: History. AP Biology 2006-2007 DNA The Genetic Material AP Biology Scientific History  The march to understanding that DNA is the genetic material  T.H. Morgan.